Have the New York Mets decided to kiss David Wright goodbye after next year? OK, that's probably not the true plan. The Mets would presumably like to sign their star third baseman to a contract extension after his $16 million option for 2013 expires. Getting fans to buy into the product after letting another star player leave through free agency would be a difficult sell. Yet, in light of the report by ESPN New York's Adam Rubin saying the Mets are going to keep their payroll to around $90 million ($94.5 million, according to Cot's Baseball Contracts) next season, how much interest can Wright have in sticking around for what looks like a cost-controlled rebuilding project? Wright could be encouraged by how the Mets competed in the NL East race until midseason. But he likely realizes that the team got as far as it could with its lesser talent. The Mets also arguably overachieved, despite getting subpar performances from players expected to be key contributors, such as Ike Davis and Lucas Duda. Since the All-Star break, the Mets have cratered and fallen far behind the Washington Nationals. The Mets are still in third place, but at 18 games back, they could easily slide to fourth or fifth place in the division. They were widely expected to finish in last place, so it would be difficult to define them as overachievers if they fulfilled that expectation. Can the Mets compete in the NL East in the next few seasons? If they finish the season in third place, it will be because the Philadelphia Phillies and Miami Marlins played far below preseason projections. If the Phillies upgrade in the outfield and at third base—and suffer less misfortune in terms of injuries—they should return to contention next season. The Marlins, meanwhile, have a bigger project on their hands as management attempts to figure out whether to fill its holes through the quick fix of free agency or the longer-term approach of player development. At the top of the division, the Washington Nationals are establishing themselves as a power in the NL East for years to come with a young, deep pitching staff and a lineup that really only lacks a center fielder. The Atlanta Braves aren't far behind, though how they answer questions in left field and center field could determine their chances at contention. Meanwhile, the Mets have basically told their players, coaches and fans that the front office and ownership intend to maintain the status quo. The source Rubin spoke with said Mets general manager Sandy Alderson "may have $10 million to $15 million max to spend." That doesn't leave Alderson much to work with, as he has major deficiencies to fix in the outfield and bullpen. No team is going to take on Jason Bay's $16 million salary for next season and a $3 million buyout for 2014 without the Mets eating a portion of his remaining contract. So he's presumably the left fielder next season. But who plays in center and right? Are Kirk Nieuwenhuis and Lucas Duda—both of whom are currently in the minors— the answer at those positions? In the bullpen, Frank Francisco has one more year on his contract at $6.5 million. He'll be the closer. But the Mets have to bring in at least one veteran reliever to go with Bobby Parnell and perhaps Pedro Beato Josh Edgin and Elvin Ramirez. Will Jon Rauch be brought back? Tim Byrdak certainly won't return. His career might be over after undergoing surgery to repair a torn anterior capsule in his left shoulder. Some good arms will be available, as there always are, but Alderson has to choose wisely—as the Tampa Bay Rays and Pittsburgh Pirates have done recently—to get low-cost, effective relief arms. The Mets can contend next season, especially if pitching prospects Matt Harvey and Zack Wheeler develop enough to join R.A. Dickey, Johan Santana and Jonathan Niese and give the team a strong starting rotation. But there are some major holes to address. Wright's $16 million option for 2013 will almost certainly be picked up. The Mets could obviously save more money on their payroll with a $1 million buyout of Wright, but that would be a hugely unpopular move. Not to mention, it would assure that the Mets get nothing in return for Wright. Picking up his option at least provides the option of trading him in the offseason or at midseason. Wright might push for such a move too, depending on how the Mets compete next season. Wright and his representatives have to be wondering whether or not the Mets can give him the type of deal that the Nationals gave Ryan Zimmerman in February. Can he get a six-year, $100 million type of contract, or is he looking at having to provide a significant "hometown discount"? 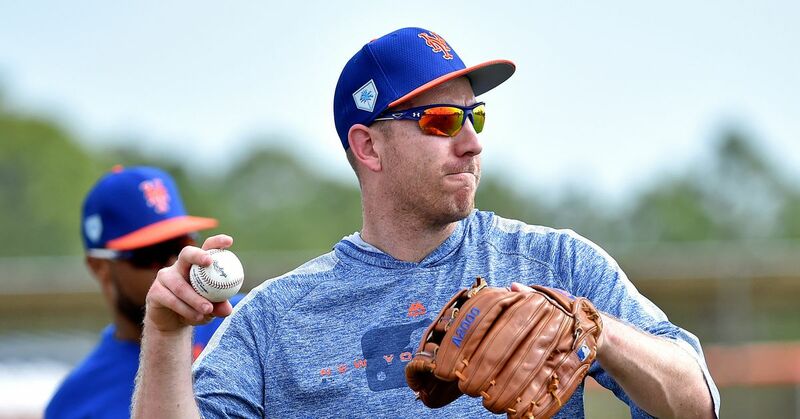 Unless Wright feels strongly about playing his entire career in one uniform and ending his career with the Mets, he'll likely be able to find a far better deal on the open market. Third basemen are at such a premium. The Phillies and Braves will surely make a run at him if available. The Baltimore Orioles and Chicago White Sox might show strong interest as well. Why wouldn't Wright explore the opportunity to maximize his value for what could be the last long-term contract he signs? How much faith can he have in the Mets to spend what it will take to put a representative product on the field and compete in what should be the toughest division in the National League? He may have already gotten his answer if the Mets don't intend to increase their payroll for next season.